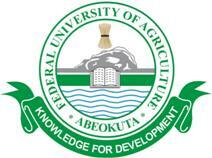 Federal University of Agriculture, Abeokuta (FUNAAB) Post-UTME Admission Screening Results for 2018/2019 Academic Session Out - Check FUNAAB Post-UTME Results Online. This is to inform all candidates that participated in the Post UTME Screening exercise of Federal University of Agriculture, Abeokuta (FUNAAB) for the 2018/2019 session that the results has been released. 1. Kindly log on to FUNAAB post UTME result checking portal via http://admission.unaab.edu.ng/login.php. 3. After you’re logged in, click on “My Post UTME Result” directly below “My Application” and you will be directed to a page showing your FUNAAB Post UTME result.